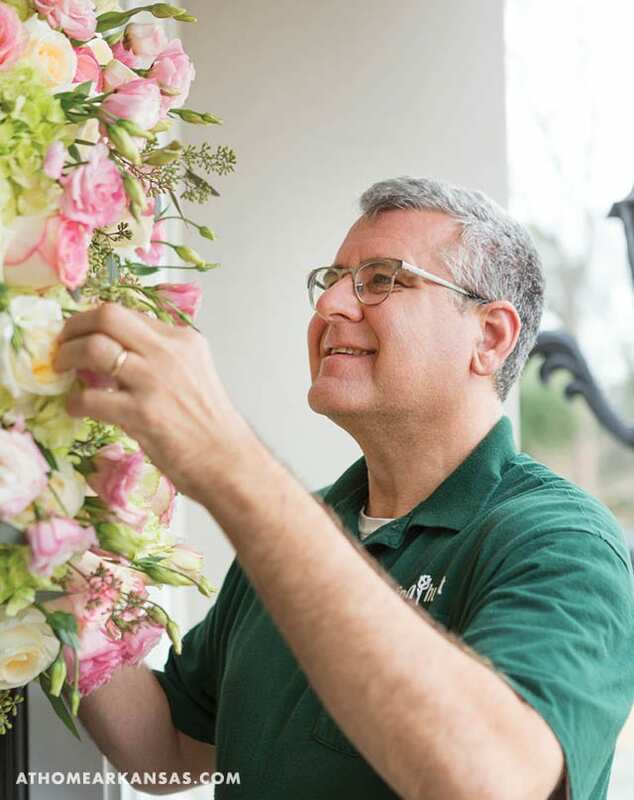 Norwood, who is known for party and event work and is one of 29 members of the American Institute of Floral Designers’ Hall of Fame, often works with Mrs. Hoover and has come to know her tastes well. 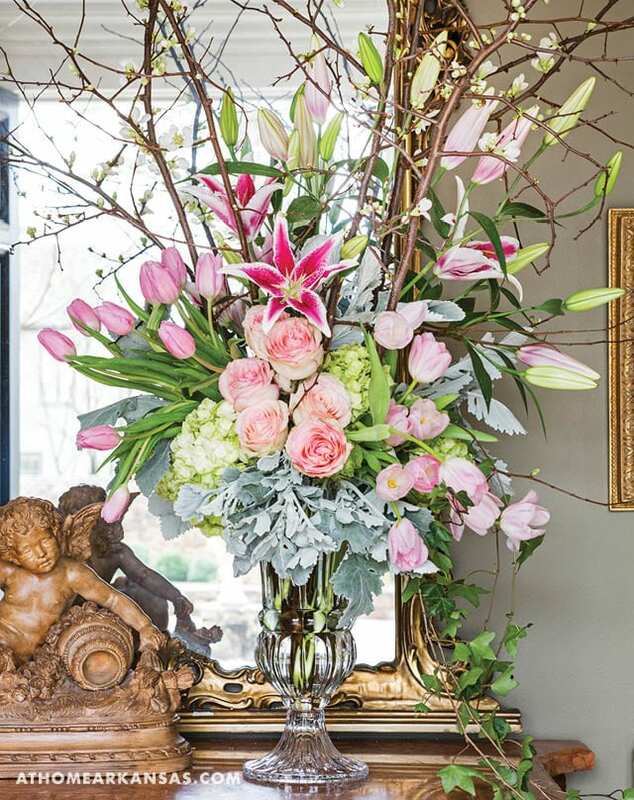 Outside of the flowers themselves, he thought of several overarching themes to make this gathering a reflection of her style, including greeting guests at the front door with a festive sign of what’s to come, using Mrs. Hoover’s formal china, and keeping a light menu that matches the season. “In the South, people still enjoy entertaining,” Norwood notes. 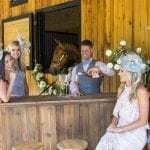 With that thought in mind, he and his team are honored to carry on this tradition by creating events—from the intimate to the extravagant—that are a true reflection of their clients and a true pleasure for guests. “When her daughter married, we had baby’s breath wreaths on the doors,” Norwood recalls of a previous event with Hoover. 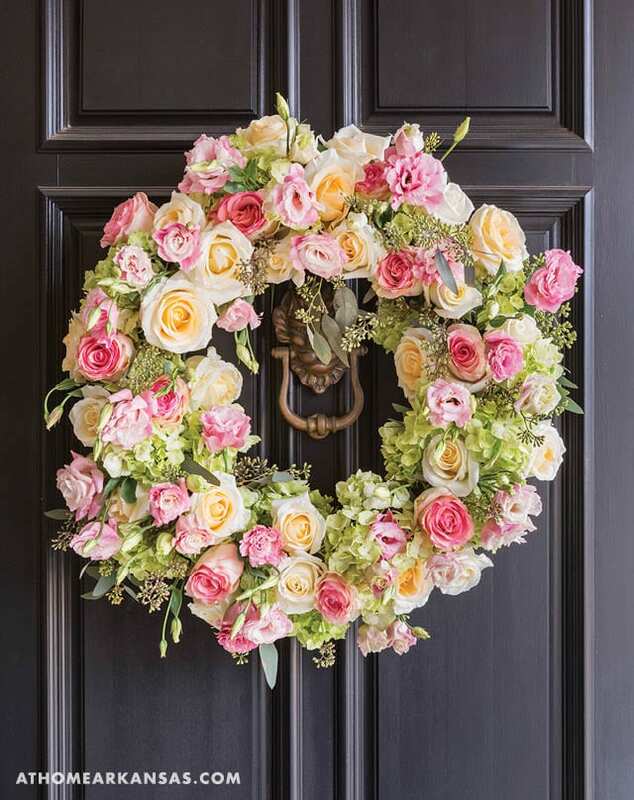 “Since then wreaths on the doors have become her signature as far as entertaining; she always does these.” For this occasion, Norwood chose to use the same blooms as the ones seen in the dining room, thus creating a continuous flow from the front door to the table. 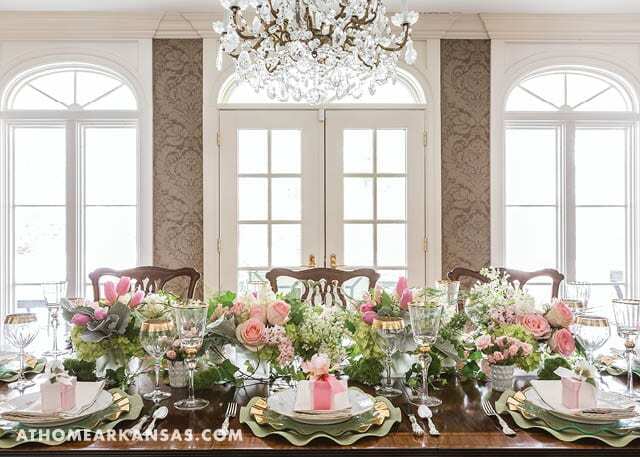 At first glance, the table appears to have one large floral centerpiece. 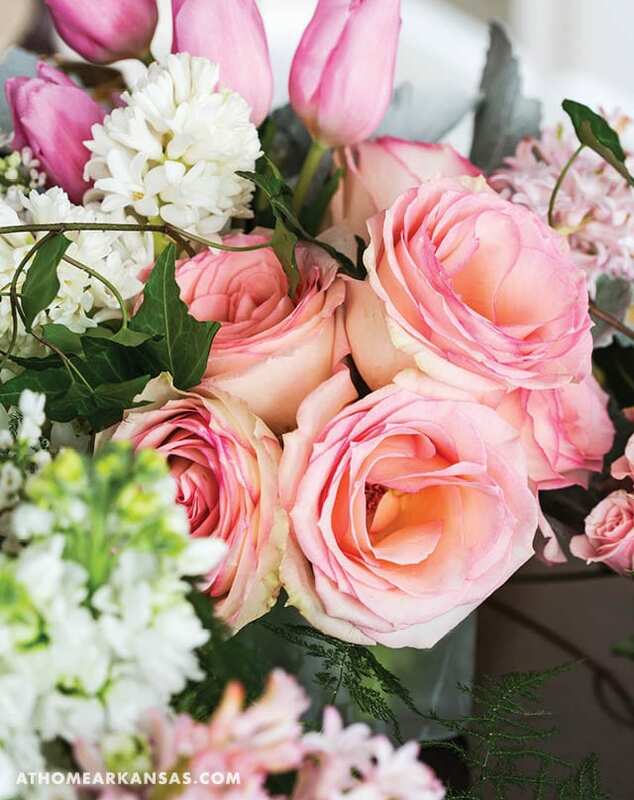 However, Norwood cleverly used four large arrangements composed of roses, tulips, lilacs, hydrangeas, and hyacinths. 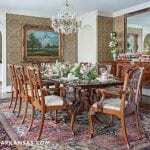 “They are all the same arrangement but give the effect of a garland down the table when grouped together,” he explains. Smaller votive cups filled with the same flowers help to connect the larger vases. 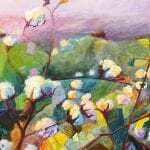 “I chose these because they are spring flowers that are plentiful in March. 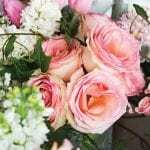 It’s also more affordable to use seasonal flowers,” Norwood notes. Setting the table lends a formal air to any gathering. 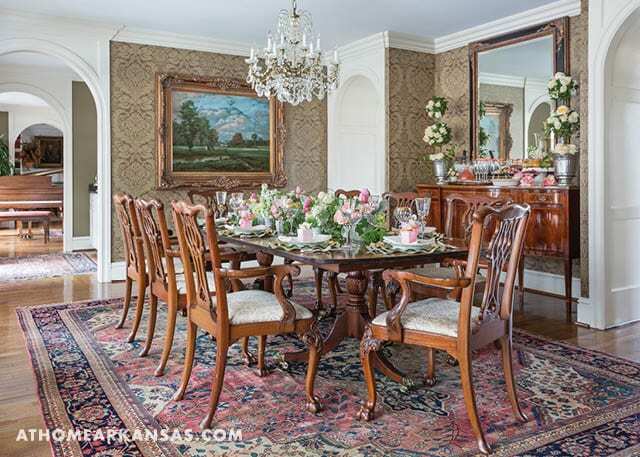 Mrs. Hoover’s white-and-gold china was a natural choice for this ladies brunch. 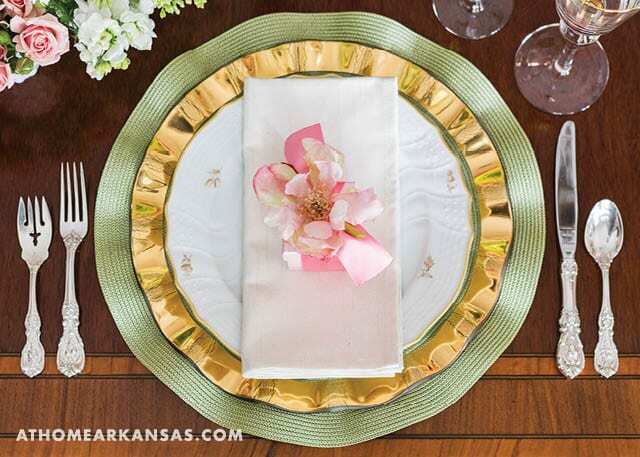 The plates were accented with gold-rimmed Annie Glass chargers and coordinating stemware. The ruffled edge on the charger is echoed in the soft green Deborah Rhodes placements, both of which add a fanciful feminine flair to the setting. Lux candles in soft pink boxes sit atop the napkin at each place setting. 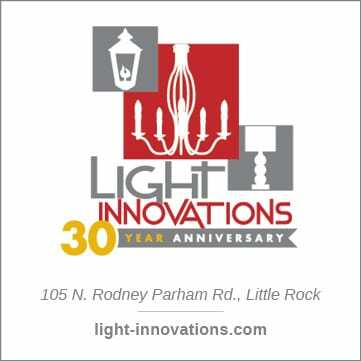 Norwood notes that the candles are made in Des Arc, Arkansas—which can be a nice way for out-of-state as well as local guests to remember the occasion. “I like for guests to have a ‘happy’ to take away,” he adds. 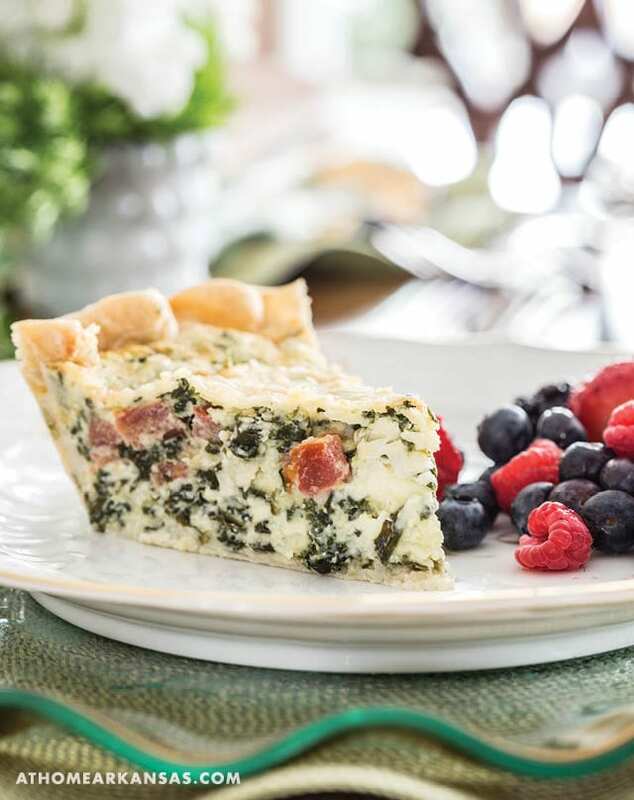 A Greek quiche, a favorite from the popular Little Rock establishment, Trio’s, takes center stage on the menu. Other brunch staples, including fresh berries and croissants, round out the offerings. Grapefruit mimosas are a spin on a classic that add to the pink color scheme. 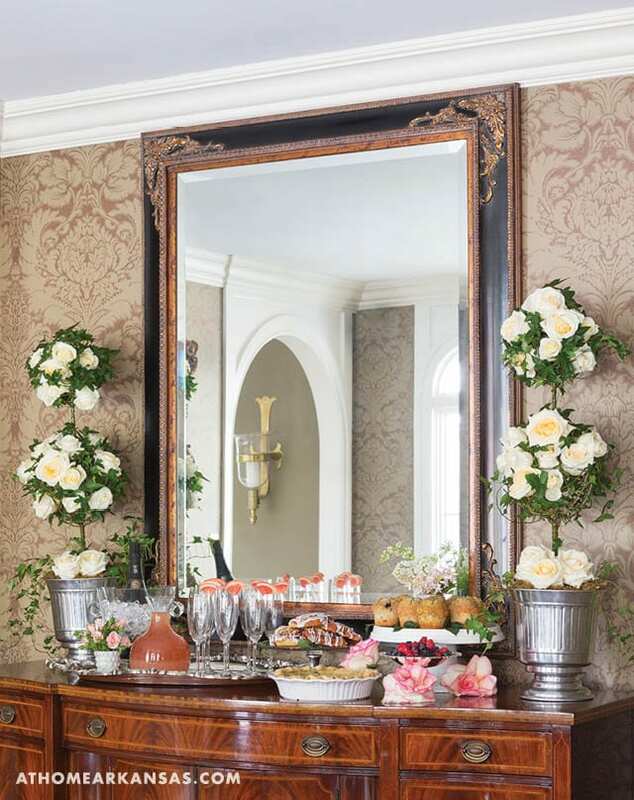 Norwood embellished ivy topiaries with fresh flower heads to add a hint of the garden to the buffet. Recipe yields the filling for one deep-dish pie shell. Use your favorite neutral (not sweet) crust recipe or a purchased crust. Thaw spinach and squeeze dry. If using fresh, roughly chop. Heat oil or butter in skillet. Sauté onion over medium heat for several minutes until it is soft and translucent. Add spinach and sauté until it is wilted (allow a little longer for fresh spinach). Stir in Swiss cheese and set aside. Whisk eggs, cream, seasonings, and cream cheese together. Spread onion-spinach-cheese mixture into prepared pie shell. Top with feta cheese and sliced tomatoes. Pour custard mixture on top. Bake at 350° for 40-45 minutes. 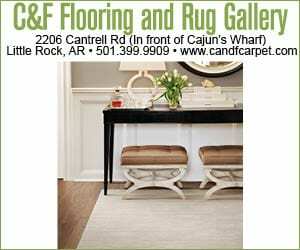 Special thanks to Mrs. Barbara Hoover for the use of her home for this photo shoot.